This entry was posted in social media and tagged comments, facebook, page, ranking, students, sweden, universities, university. Bookmark the permalink. has had a few comments too. Hi Michael – thanks for your comment. 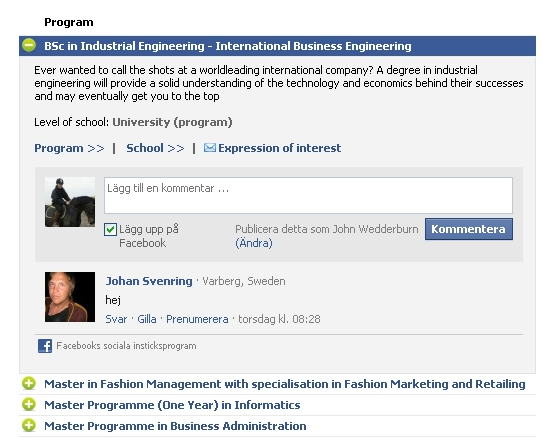 I do inlude Umeå but I only count ‘unique’ posts by page friends; your page does not enable unique posts by friends so does not appear in this particular ranking. You’ve got a ton of friends, but – right now – I simply do not have time to rank by all comments – this, of course, is the dream! Just out of interest, why are the comments switched off? It’s definitely interesting with the new tabs, watch this space for updates! Nice stats! 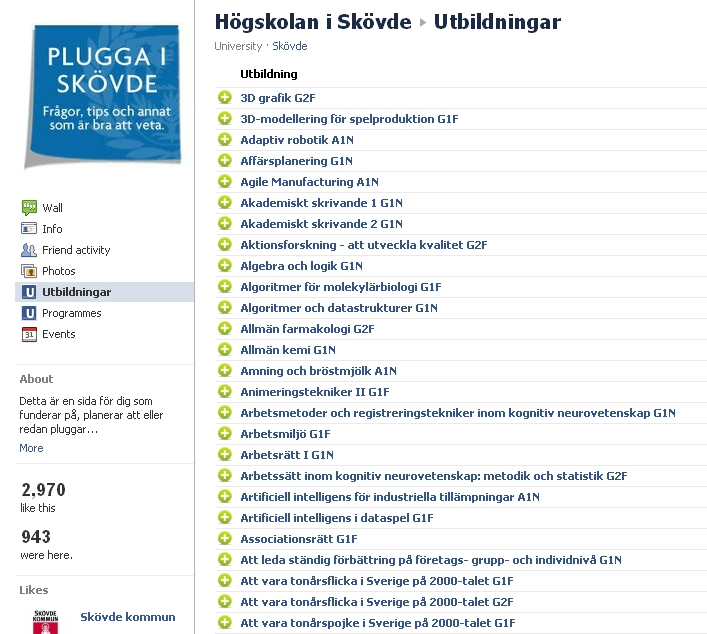 Have you seen any difference in the number of comments on the wall for FB-pages with/without discussion forums? Hi Hugo, Thanks for that! Good question and I have not looked into that – it will be interesting to find out!